July 13, 2015  A frantic weekend of activity in Brussels resulted in a new financial rescue deal for Greece, preventing a near-term exit from the eurozone. 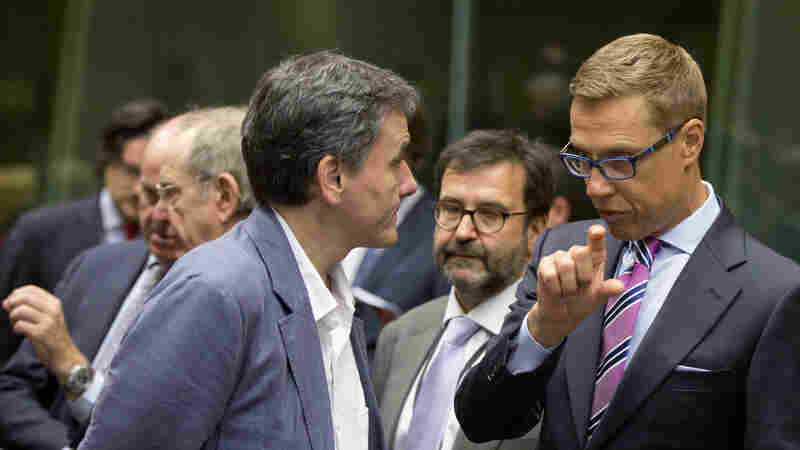 July 12, 2015  European finance ministers hope to have a deal by today, but they remain skeptical that Athens will live up to its promises of financial reforms in exchange for tens of billions in bailout funds. 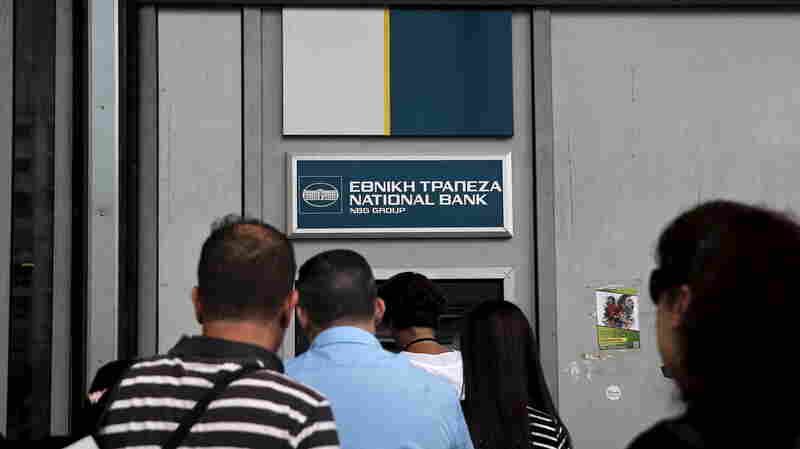 June 20, 2015  The European Central Bank gave Greece an emergency loan of more than $2 billion on Friday to stave off collapse, but a June 30 deadline looms for payment on the next installment of an IMF loan. July 16, 2015  The Greek Parliament passed measures to support this week's eurozone-backed bailout agreement, but celebrations were muted at best, and there were large demonstrations against new austerity moves. 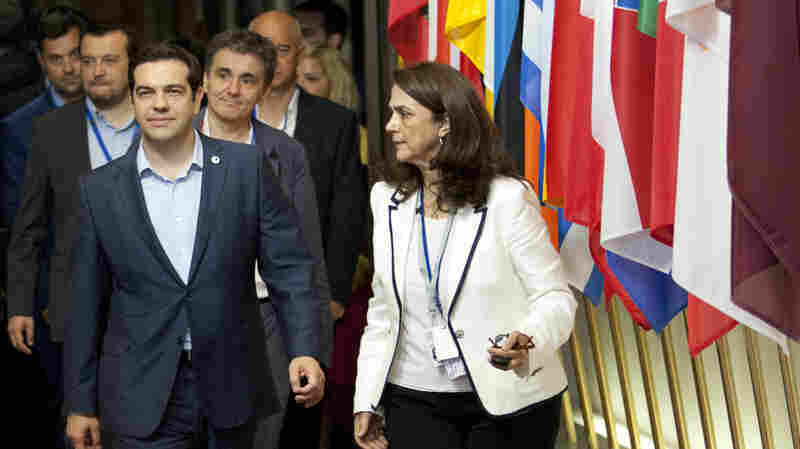 After Tense Negotiations For Bailout, Will Greek Parliament Fall In Line? July 14, 2015  The parliament starts debate Tuesday on the new bailout plan agreed to over the weekend with eurozone countries. Given the concessions Greece agreed to, it's likely to be a very stormy session. July 13, 2015  After a weekend spent glued to their televisions, average citizens still feel a lot of trepidation after Monday's announced deal. It's going to be hard to sell it to the Greek parliament and populace. March 18, 2015  Protesters set fire to police cars and barricades. 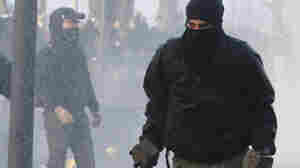 Police responded with water cannons during a ceremony to inaugurate the $1 billion-plus building in Frankfurt, Germany. January 24, 2015  If elected on Sunday, Syriza would be the first anti-austerity party to come to power in the Eurozone. But it would still have to pay off Greece's debt and help the country out of a deep depression. 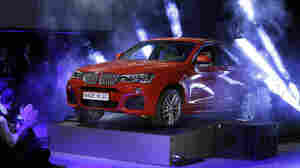 Analysts Watch For Impacts Of European Economic Weakness On U.S.
January 20, 2015  German automakers have several plants in the South, and Florida counts on European tourists. 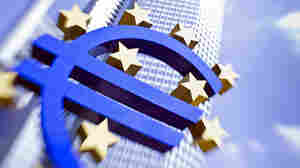 Analysts hope efforts to stimulate Europe's economy will keep investments in the U.S. from slipping. January 8, 2013  In the European Union, unemployment rates are at their highest ever, as a returned recession, falling income levels and persistent debt concerns trouble the region's economy, as its latest statistics show. Wait, Investors Paid Germany To Hold Their Cash? July 19, 2012  Government debt auctions have been turned on their head in a few places recently, with investors promising to pay interest rather than receiving it. We examine what it might mean. May 16, 2012  The country will try again to form a government. Meanwhile, its president worries about million so euros being pulled out of Greek banks. And talk of a "Grexit" from the euro zone is increasing. February 12, 2012  The Greek Parliament has approved a crucial austerity and debt-relief bill to keep the country out of bankruptcy and remain a part of the eurozone. December 9, 2011  The United Kingdom wants some safeguards for its financial services industry. 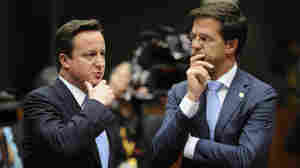 But other major European Union nations are moving ahead on changes to address the zone's financial crisis. August 17, 2011  The Swiss franc has emerged as a safe haven currency for investors spooked by economic uncertainty in the U.S. and the European Union's eurozone. In the past year, the franc's value has soared — and now Swiss shoppers are going bargain-hunting in Europe's malls and shops.